I grew up in a family obsessed with thebusiness of making clothes. I had made my first pair of trousers by the age of eleven, following in the footsteps of my father and grandfather before him. At twenty-one I attended the Royal College of Art to study menswear design. And three years later I opened my first shop at 4 Golden Square in London’s Soho. It was always my ambition to combine the traditional craft of English tailoring with the cosmopolitan flair of fashion design; that ambition was realised with the opening of The House Of Charlie Allen in Islington, London. My fascination with Italian style began in my teenage years, when I first read L’Uomo Vogue, Vogue’s Italian magazine for men. My first overseas trip was to Florence, where I drew inspiration for my designs from the city’s beauty and sense of style. Early in my career my approach to design was recognised when I was awarded the title British Linen Designer Of The Year, receiving my prize on a Monte-Carlo stage which I shared with Giorgio Armani, one of my design heroes. To this day, I aim to fuse Italian-inspired soft construction with British fabrics and tailoring, creating timeless garments of the highest quality. To ensure the highest standards, all our bespoke suits are cut and handmade in our London workshop. In recent years my work reached a new audience when I was asked to design the kit for the England national football team. When Umbro approached me I had the idea to create a bespoke kit for each player. This was a new concept; even at the highest level, football shirts had always been made to standard sizes. But my first love remains with menswear design and tailoring. 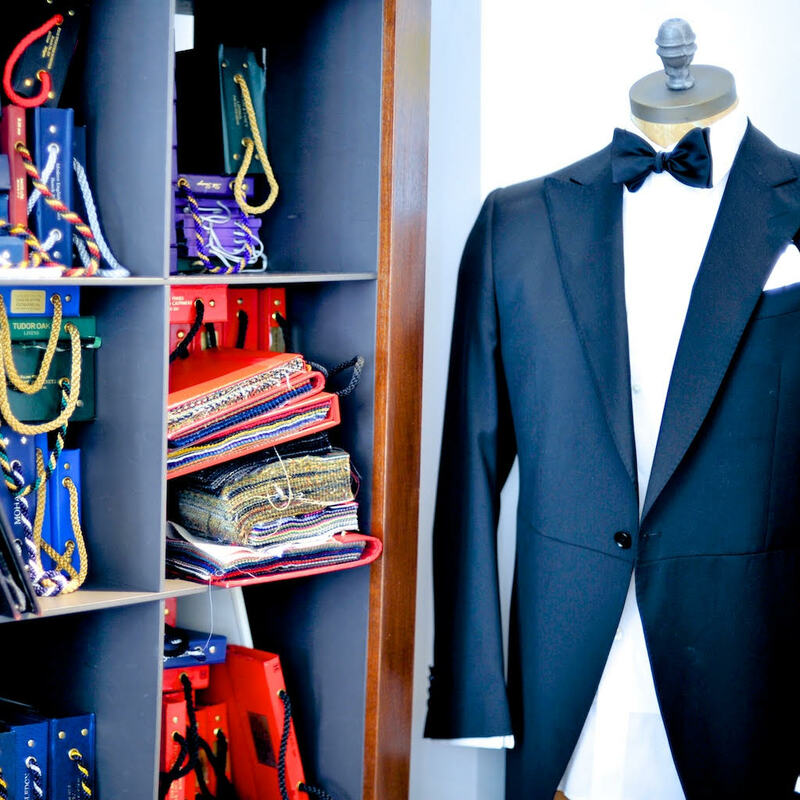 Now, at my Islington showroom and workshop I offer full bespoke and made-to-measure men’s tailoring. The customer is part of the process, from the initial consultation to the moment when they first wear the completed garment. This is not only about style and fabric; I like to chat with clients so that I can discover their personality and include this in my designs. Indeed many of my clients have become good friends over the years. I look forward to sharing in future issues of Luxury Life International magazine my thoughts and experiences in bespoke tailoring and the wider world of menswear and design.